Before my recent visit to Helsinki, I was told by one of its members, Päivi Raivio, that I needed to know about an environmental organisation there called Dodo. And so it transpired that I was taken in conditions of some secrecy to this guerilla potato planting event. 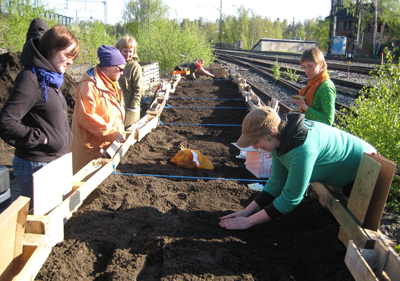 Given the generous volume of soil the team had amassed, Helsinki’s eco-warriors will soon be enjoying a bumper crop.